Is your roof on borrowed time? For over 35 years, homeowners know that when they choose Stockmohr for their residential roof repair and commercial roof repair that they've selected the best, most reliable company in WNY. Your Getzville, NY home is more than a roof over your family's head. At Stockmohr we know that even the thought of getting your home's roof repaired is often stress-inducing, roof repair adds value to your home and is one of the most important maintenance jobs your home will ever require. 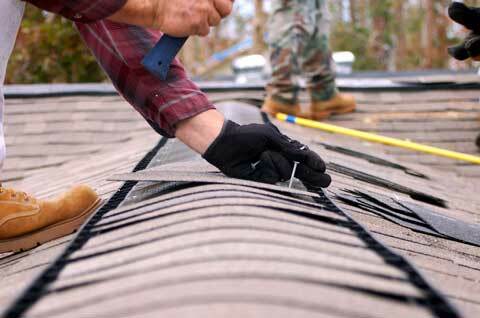 Our roofing company features experienced professionals that will make roof repair a stress and hassle free experience. We will walk you through the entire process, including conducting an initial inspection, providing a cost estimate, and financing repairs. That is where StockMohr can help. For your Getzville roof repair projects, shingles are available in a variety of weights with lifetime warranties. High wind warranties are offered with shingles in 30, 40 and 50 year weights and warranties. Getzville locals trust us with their homes and the quality speaks for itself. Contact us today if you're interested in learning more about our roof repair services.